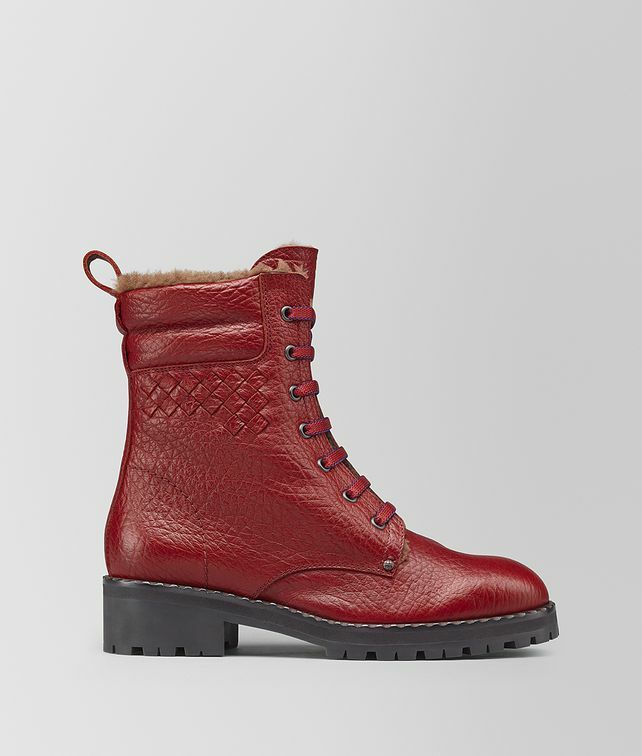 Inspired by combat styles, these boots are crafted from tumbled calf leather that has a grainy texture. The interior is lined in shearling for a warm and luxurious feel. The pair is detailed with an intrecciato inlay and set on a bold rubber lug sole to easily take on the elements of winter. The boots come with two sets of laces: one solid, one bicolor. Finished with leather pull tabs.